Manage your editorial product inventory for your print magazines so that sales reps can add them to proposals. 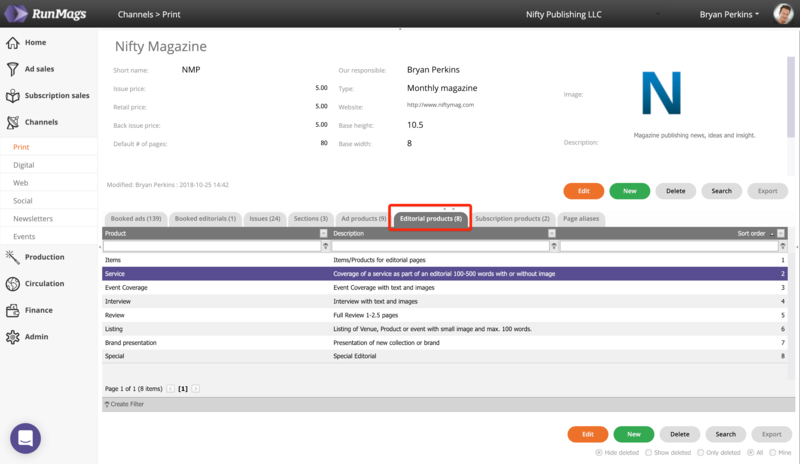 In tab named Editorial products you can find any editorial inventory for your selected magazine. Note: in RunMags, an editorial is distinguished from an advertorial by the fact that it's not possible to get paid money for an editorial. Advertorials are treated just as advertising products through billing. 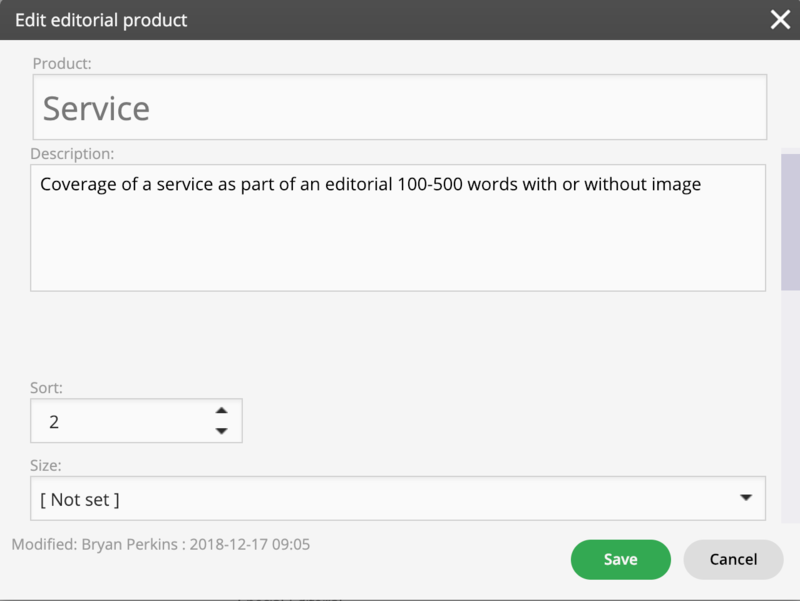 The editorial tool is just a means to keep track of editorial commitments you're doing to advertisers, which can be added to a deal including paid advertising. To add a new editorial product, click the green New button. To edit an editorial product, click the orange Edit button or double-click the selected item. The product name and description is used in proposals and in production. The sort field dictates the ordering in the dropdown field when you select editorials to be added to deals. The size field is optional, but if used it can dictate how large the editorial will be in the flatplan.